Dance Classes, Lessons, Events & Courses for J & B Dance. Weekday classes in Modern Ballroom and Latin American for all abilities, and Social Dancing on Saturdays and Sundays. Private Coaching by appointment. Car parks at halls. Very experienced, friendly ISTD qualified teachers. Event Organiser, Private Coaching, Dance Studio/School, Regular Dance Classes. 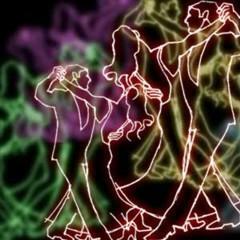 Dance Styles: Modern Sequence, Latin American, Ballroom, Mixed Social Dance. Email: J & B Dance. All Entries for Christ Church Hall Venue. Situated behind Christ Church opposite Homebase at Tally Ho Corner. About 10 mins walk from West Finchley and Woodside Park tube stations. On the 263 bus route (which stops outside the Church) and close to many other bus routes. Ample adjacent parking. Modern Sequence, Latin American, Ballroom, Mixed Social Practice, Social Dancing. Once a month. for exact dates or phone John on 020 8444 0280. Free Tea (or Coffee). Singles and Couples welcome. Line, Modern Sequence, Latin American, Ballroom, Mixed Social Social Dancing. Tea Dance twice a month. For exact dates phone John on 020 8444 0280. Free Tea (or Coffee) & Biscuits. Singles and Couples welcome. All Entries for St. John's Hall Venue. Buses 263 and 326 run close by. The Northern Line tube is about 10 minutes walk away. Easy street parking. Mowbray Road is one-way. There are no parking restrictions at night. Modern Sequence, Latin American, Ballroom, Mixed Social Instruction, Practice Dancing. Contact organiser for times and further details. Private lessons on Saturday and all week by appointment. All Entries for St. Mary's Parish Hall Venue. The hall is 5 mins walk from Finchley Central tube station and close to many bus routes. Ample parking at the hall, on Hendon Lane and Dollis Ave. Near Library. Latin American, Ballroom, Mixed Social Practice. Free Tea (or Coffee) & Biscuits. Latin American, Ballroom, Mixed Social Instruction at Improver level, Practice at Improver level. Free Tea (or Coffee) & Biscuits.